A researcher needs to be objective. They cannot create a survey questionnaire that is designed to give a particular result. Instead, they must avoid question bias. Question bias is when a question leads a person to pick a particular answer. Leading questions can make survey results inaccurate. Here are 5 basic guidelines on how to avoid question bias and ways Google Forms can help. Discover the ways Google Forms can help to avoid question bias in a questionnaire. The wording of a question is important. The phrasing should not influence the choice a person makes when answering. Question bias can occur when the choices given for a question are limited. This forces a person to pick an answer that does not reflect their opinion or situation. To gain meaningful data from respondents it is a good idea to use Google Forms to add “Other” to a multiple choice question. This will allow respondents to type in a short answer. Question bias can occur when the questions asked are irrelevant. For example, there is no point in a person answering questions about social media use at home, if they do not use social media. Asking questions that do not apply to a person’s situation is a waste of time and could cause a person to pick any answer simply to complete the survey quickly. Google Forms can be set to control the questions asked to respondents. 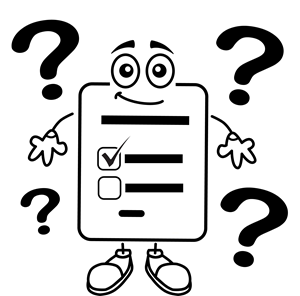 An answer selected for multiple choice question can be set to display a particular page or submit the form. This is an excellent way to prevent asking a person unnecessary questions. Question bias can occur when the choices given for a question are always in the same order. This can cause people to select a choice based on its position within the list. Google forms allows the order of multiple choice options to be randomly shuffled which reduces question bias. Typically, questions in a questionnaire are set in particular order. Often they are sequenced easiest to hardest, with similar question kept together. Question bias may occur when the questions asked are always in the same order. Google forms allows the questions on a page to be randomly shuffled. This is an excellent way to change the placement of a group of questions.